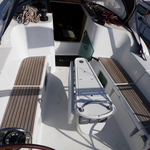 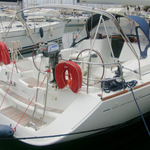 Aegean Spirit is a name of boat Sun Odyssey 42i ,which has been manufactured in 2008. 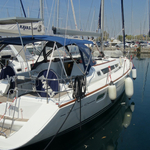 You can rent this sailboat from base Athens in region very close to Athens. 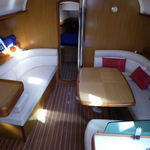 Aegean Spirit is furnished with 6 berths. 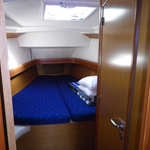 Beds on the boat are arranged in 6 scheme. 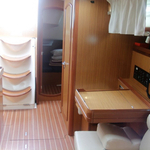 3 bedrooms are situated inside the boat Aegean Spirit. 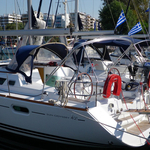 You can see more offers by clicking on this link: Yacht charter Athens. 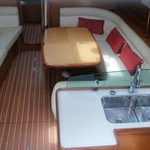 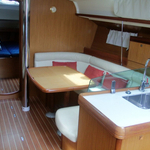 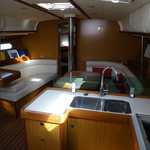 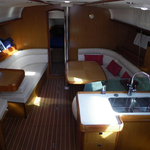 Crew members can feel satisfied on this yacht , because there are 2 bathrooms for their disposal. 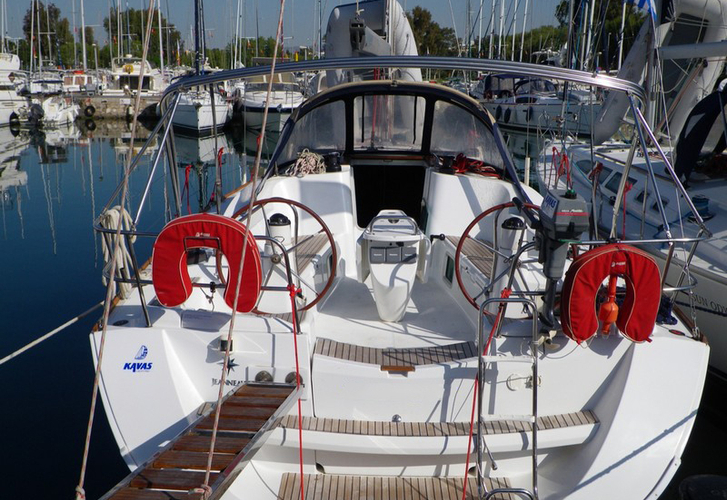 Aegean Spirit is equipped with engine 54. 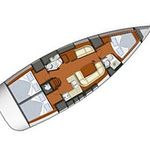 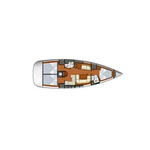 Vessel's dimensions are: lenght overall - 12.85 m , width - 4.13 m and 2.13 m of depth. 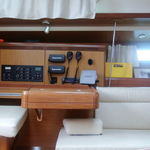 On the boat you will find following equipment: Gps plotter, Autopilot, Plotter gps in cockpit, Bimini top, Radio / cd player, Solar panels, Furling mainsail. . Security caution there is 2000.00 EUR. 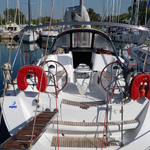 In our search machine you can effortlessly check avalailability of sailing boat Aegean Spirit from Athens by going to this section: Yacht charter Greece.